This 2 ch. 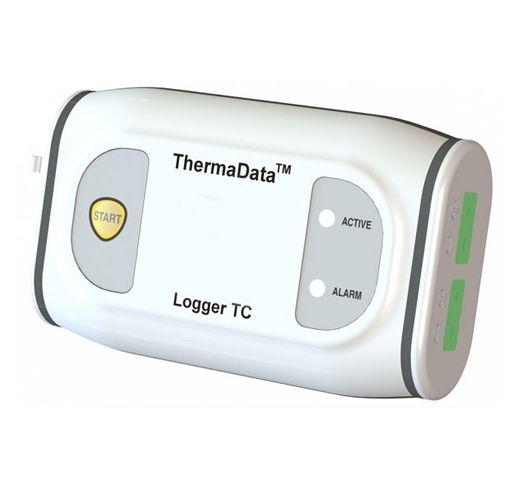 ThermaData® thermocouple data logger are housed in a waterproof, ergonomic case that is designed to meet IP66/67 protection. Two models are available, either blind or with LCD display. This Thermocouple Type K ThermaData®data logger measure temperature over the range of -99.9 to 1372 °C with a 0.1 °C resolution, auto-ranging to 1 °C over the range of 300 to 1372 °C. 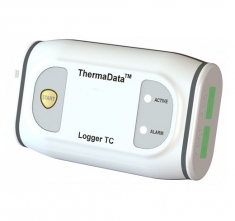 At programmable intervals the loggers will record the temperature, up to a maximum of 16000 readings or 2 x 8000 readings.